After a long, cold winter in Connecticut, nothing beats being able to enjoy warmer outdoor temps. Getting in some extra outdoor activities, driving with your windows rolled down and the warm sun and gentle breeze make spring in New England a time to celebrate. But just as much as there is time to enjoy the weather outside and riding around with your windows down, there is a responsibility to be careful when driving in this season. Not only is April Distracted Driving Awareness Month, but the increase in people on the roadways – on foot and even on bikes – means you’ll need to increase your safe driving habits this time of year. Just because the weathers warm and the snow has melted doesn’t mean the road conditions won’t present a problem for driving. A harsh winter mean there’s likely more potholes and other pavement issues from all of the plows. If you drive through and smack one that is deep enough, these holes have the ability to burst tires and even throw your cars alignment off. Rainy spring weather can also make roads slick. Be sure to always leave enough room to stop should there be a sudden need. You should also never drive fast through a deep puddle as you’ll end up kicking up so much water you won’t be able to see and could even cause your car to hydroplane and lose control. As we mentioned earlier, more people are heading out to do the same thing you are – enjoy the outdoors. That means more people riding bikes, going for walks, on their motorcycles and even jogging. It’s up to you to pay attention while driving and allow reasonable space to keep these pedestrians and motorists out of harm’s way. That means keeping your eyes on the road and paying attention to who is behind you and on the side of your car (including blind spots) at all times. 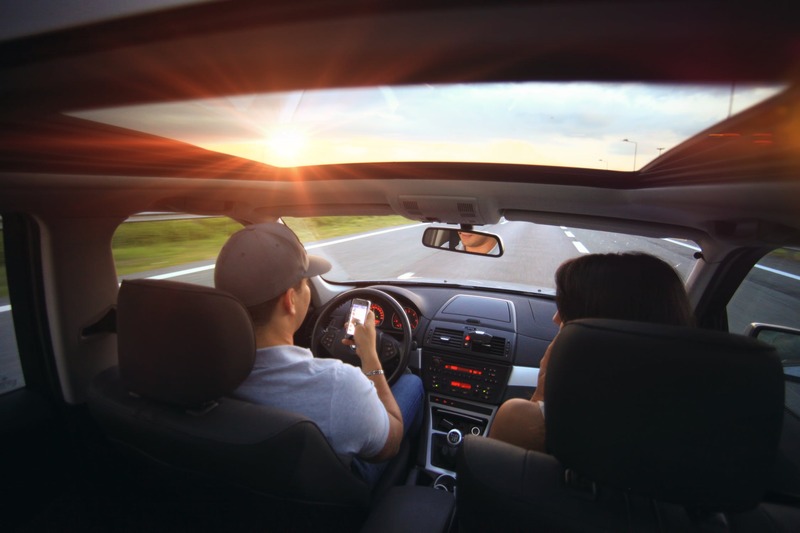 One easy way to miss important details about sharing the road happens if you take your eyes off the road to check your text messages or scroll social media. Even with all of the warnings, laws and lives claimed, distracted driving continues to be a huge problem. Studies are finding that distracted driving accidents are on the rise. The only way to stop this deadly epidemic is to play your part in turning your phone off and refusing to use it until you are parked and no longer driving. Contact Petruzelo Insurance to learn more about the auto insurance coverage right for you. One of the top insurance agencies in CT, Petruzelo Insurance Agency has been providing security and peace of mind to Connecticut communities for more than 50 years.